Just had a full service including fuel filter. New fuel pump. New handbrake cable. Rear anti roll bar bush. full set of tyres. It is has mot until February 2020 with no advisories. It is in good condition for the year. The thrust release bearing is noisy, so will need replacing very soon. The mileage is 207970 but will go up as still in use. Car has been very well looked after no expense spared only ever worked on by Vauxhall specialists (888,MWP,Regal,Thorney, Courtney Sport etc) and serviced every 5k (next due in 1000miles) always ran and mapped on v power. 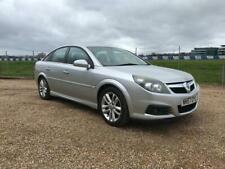 2009 VAUXHALL VECTRA 1.8 "EXCLUSIV". Model.Vectra 1.8 "exclusiv". Very tidy throughout with low mileage. 1 remote key. Special coded front bumper. Alloy wheels with locks. 6 disc remote Radio /cd. FULL SERVICE HISTORY. £1490 OVNO. ASK FOR MORE PICS. FIRST TO SEE WILL BUY. DRIVES A DREAM,REALLY NICE CAR IN AND OUT IMMACULATE CONDITION PULLS WELL. Seats Heated (Driver/Passenger). Rain Sensor. Riviera Car Sales - Call us on 441803225603 or click here to find out more. 2008 58 VAUXHALL VECTRA 1.8i VVT 16V EXCLUSIV ONE OWNER FROM NEW !! FINANCE FROM £41.33 A MONTH APPLY ON LINE TODAY !!! Norwich Budget Car Sales - Call us on 441603937349 or click here to find out more. Drives superb no mechanical issues real bargain!!! Bargain at £295. 55,000 miles. MOT has also now run out. VAUXHALL VECTRA ESTATE SRI CDTI 150. MOT APRIL 2020. 2006 - 56 REG. 79,000 MILES (Mileage is fully warrantied and DVLA verified). ELECTRIC MIRRORS. SPECIFICATION INCLUDING FULLY HPI CLEAR.